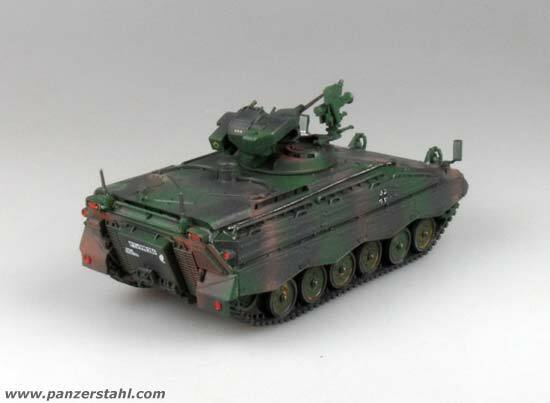 The Marder was developed for the German Bundeswehr since the late 60s and was built from 1971 on. 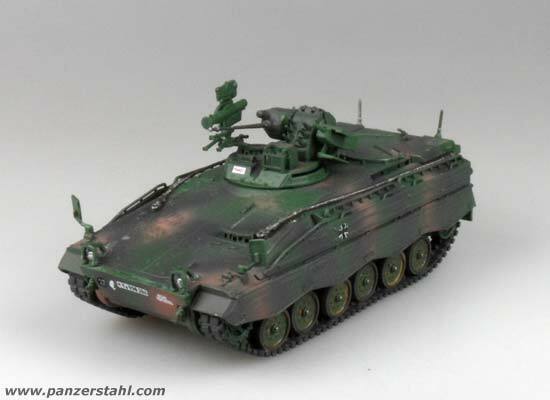 2136 Marder were built altogether. 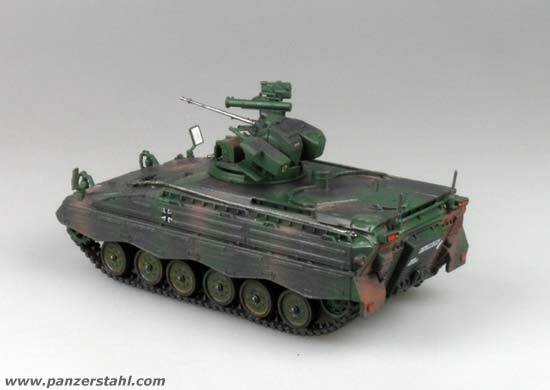 Over the years several modernisation programs brought the Marder always up to date to current threats resulting in the newest version the A5 which implements complete mine-protection. The Marder has a crew of 3 plus space for 6 infanterist soldiers in the back. 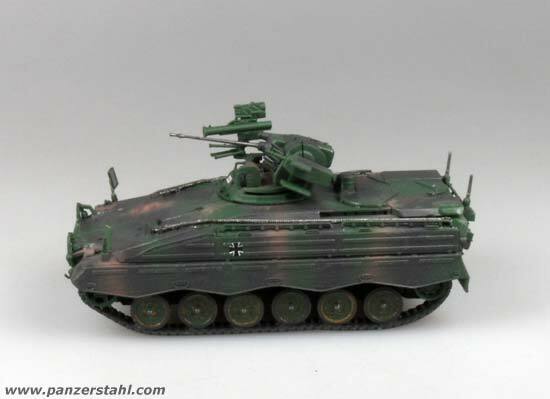 Armed with a 20mm cannon plus coaxial MG3 and AT missile Milan. 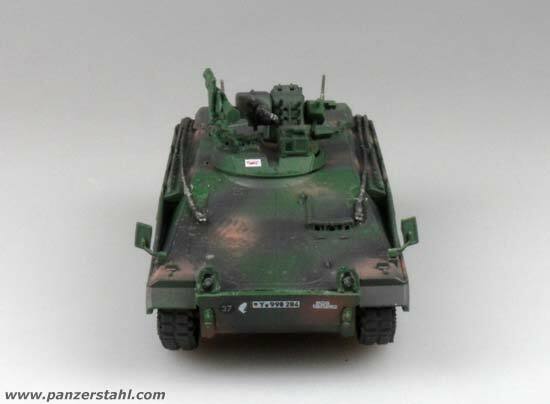 The cannon can use HEI and APDS ammo which are chosen by switch. 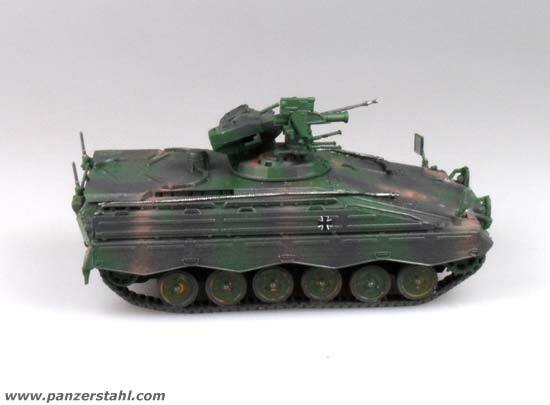 Also from version A1+ on the Marder has full night fighting capability. 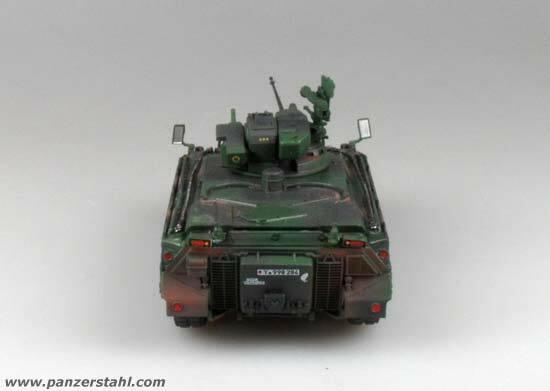 The infanterist soldiers at the back can fight through hatches direct off the vehicle. The engine power of 600hp brought the early Marder to a top speed of over 75km/h whereas the newer versions of A3 and above only achive 65lm/h die to increased weight. The most used version, the A3, has a weight of 33,5t and the newest A5 version of 37,5t. The whole tank is 6,88m long, 3.38m wide and 3.02m high. 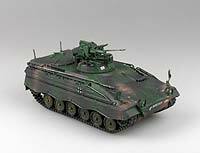 The Marder 1 A3 were used in Panzergrenadier Bataillons in the German Army as well as Artillery and Mortar spotter.